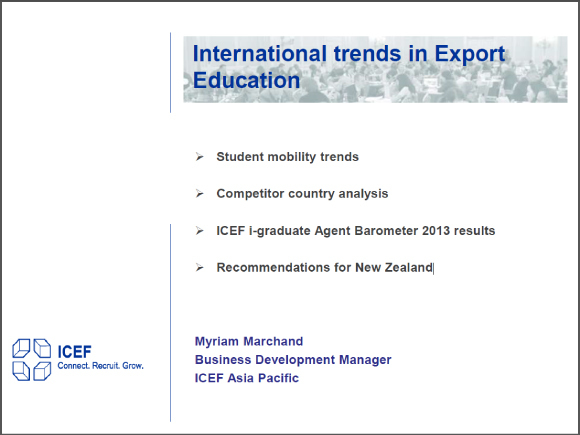 In the Study Auclkland conference, Myriam Marchand, the Business Development Manager from ICEF Asia Pacific, gave a presentation on International trends in Export Education. It covered the topics about student mobility trends, competitor country analysis, ICEF i-graduate Agent Barometer 2013 results, and recommendations for New Zealand. For more information please download the presentation by click the image below.